They’ve brought home a state trophy for the past three years in a row, often competing against schools many times their size. 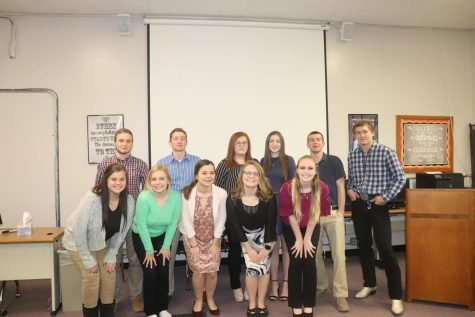 They’ve quickly risen to be one of the top teams in Illinois, with some even calling them a ‘downstate dynasty.’ They’ve been featured in newspaper articles, received fire truck parades through the town and pep rallies in their honor, and have even gotten an invitation to meet local legislators. Now close your eyes. What kind of team to do you have in mind? Probably a basketball, baseball, football, or soccer team—some kind of group of athletes that you would see in a typical inspirational sports movie. Well, think again. The Franklin junior high chess team is made up of students ranging from fifth to eighth grade. 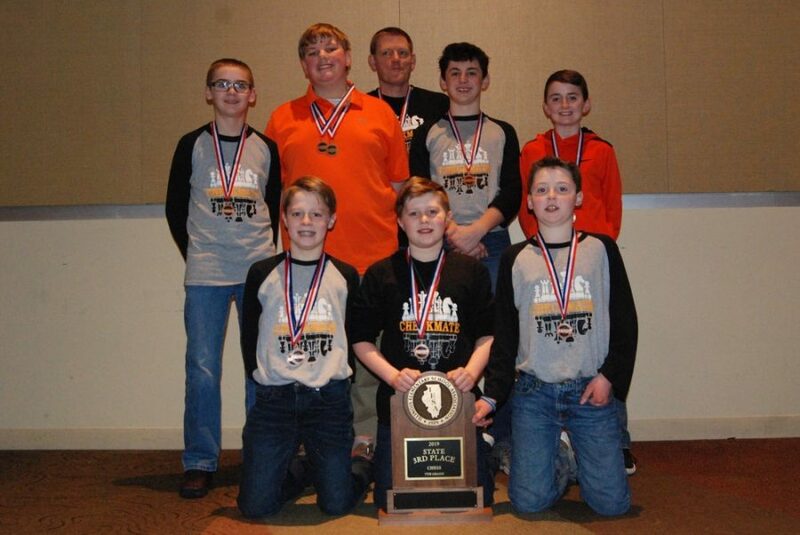 This year at the 2019 IESA State Chess Tournament, the seventh graders brought home a third-place trophy and Franklin’s Mitchell Tapscott won all of his seven games to become state champion. The eighth-grade team was also only ½ point away from receiving a trophy. Three eighth-graders—Thad Bergschneider, Isaac Carter, and Cole Delaney—all received bronze medals, as well as seventh-grader Trevor Colwell. “I think the coolest part was when Mitchell (Tapscott) had won his last game and the kids were waiting in the hallway for him and jumping around like a bunch of little jumping beans, then he walked in through the door and it was just like an explosion of adulation for Mitchell,” says Mr. Moses, the team’s coach. For many students, the pep rally has been the highlight of this experience so far. “Everybody went crazy when they said our names,” says Trevor Colwell. Jacob Carter agreed.